February PlayStation Plus Brings 6 Games and Additional Cloud Storage | Nerd Much? Typically a day or two behind Microsoft’s Games with Gold announcement, Sony is right on schedule with the reveal of their February PlayStation Plus games. And the month of love is headlined by some pretty violently awesome games. First on the docket is For Honor. After a rough launch for Ubisoft, the publisher continued to dote on the online medieval melee title. Eventually turning it into a game with a dedicated community. You can battle as a Viking, Knight or Samurai across 18 different PvP maps in a quest for glory. And you can do so for free beginning February 5th. February 5th will also debut Hitman: The Complete First Season as a PlayStation Plus free download. The assassination simulator earned a fantastic 84 on Metacritic following its reviews. And it’s an amazing free addition to your library if you’ve yet to play it. 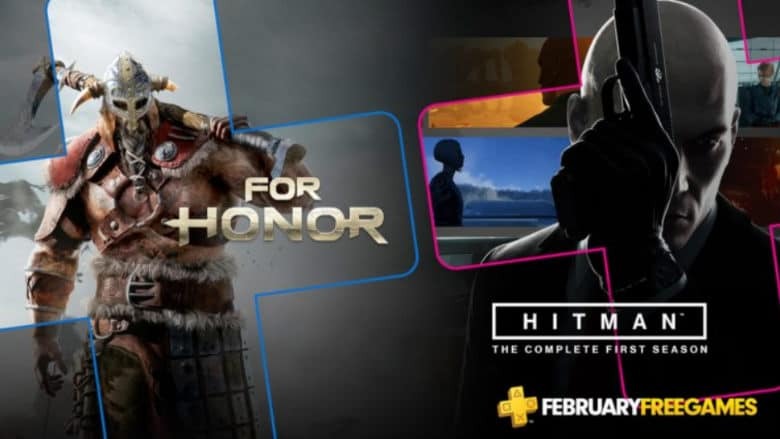 Both For Honor and Hitman: The Complete First Season will be available through March 5th. As usual (for now), the PlayStation 3 and PlayStation Vita have a few games coming for their owners too. On the PlayStation 3 we have Divekick which is cross-buy enabled with PlayStation Vita. And the PlayStation 3 will also get Metal Gear Solid 4: Guns of the Patriots. For the PlayStation Vita, February PlayStation Plus owners will get both Gunhouse and Rogue Aces. Both of those titles are cross-buy capable as well with PlayStation 4 consoles. In Sony’s February PlayStation Plus reveal, the publisher also confirmed that PlayStation Plus owners would also be seeing a boost in their cloud storage allotment. Instead of the currently offered 10 GBs of data, players will now have 100 GBs to use. With that 100 GBs you can store game saves and character profiles and transfer them from system to system with relative ease. It’s also worth reminding you here that following their February PlayStation Plus offerings, PlayStation 3 and PlayStation Vita games will no longer be supported within the free games program. Sony will be listing those games as free downloads through March 8th, so make sure to bolster those expiring console libraries while you can.